My knowledge of coffee growing up in Canada is all from Tim Horton’s. In university I was fuelled by this type of coffee. I would get the classic “double double”, that’s two sugars and two milk. After moving to Europe and having friends from Australia I got introduced to different kinds of coffees, latte, cappucinos and macchiatos. Steamed milk vs milk froth, I was far away from the simple double double. What’s the difference between all of them? 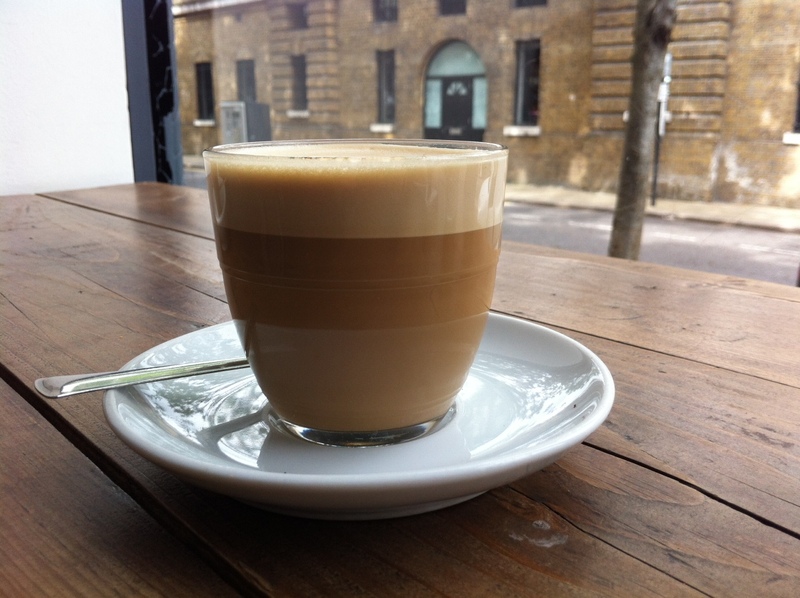 As I was enjoying my latte (image above) at CoffeeWorks in London I thought about what makes a latte different than a standard coffee brew. Here are some menus that I came across that helped me understand the composition of the different types of coffee. 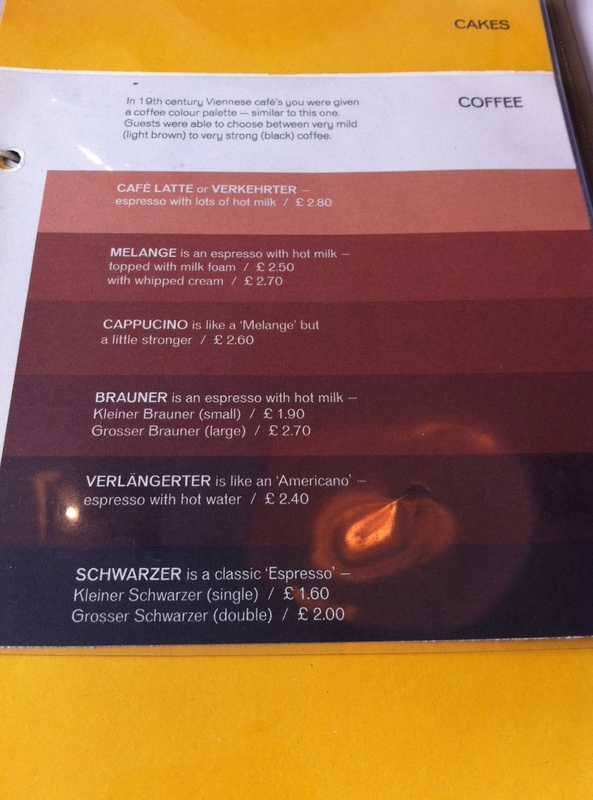 They have different colours which correlates to the intensity of flavour as illustrated in this menu at Kipferl in London. There could be different ingredients such as milk or water. 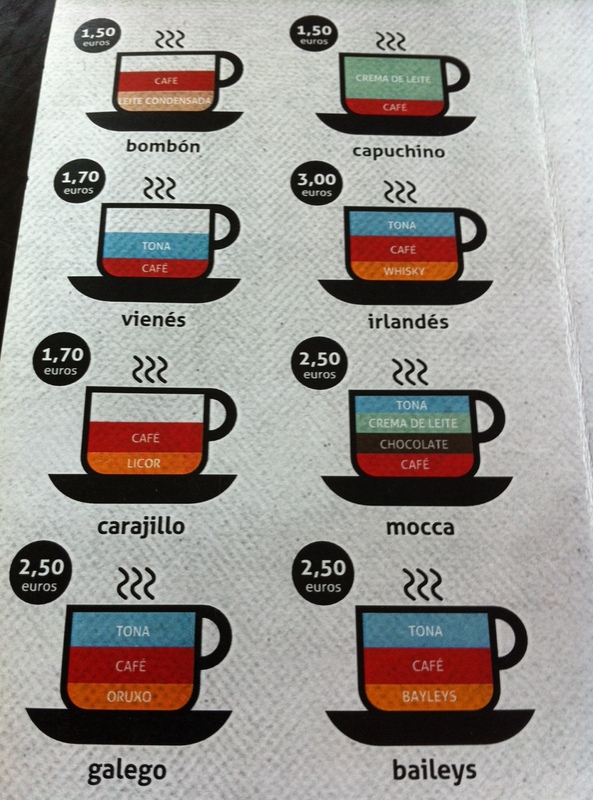 Below is a coffee menu from m* cafe in Santiago de Compostela which shows the breakdown of different coffee drinks in a graphical style.